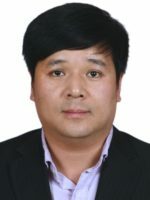 Dong is currently a Project Manager at the Energy Innovation Technology Research Centre at Guodian leading a few projects in fields such as flue gas treatment, coal & fly ash treatment and fuel cell power generation. He is now the member of World Energy Council`s Future Energy Leadership Program (FEL-100). He obtained his doctorate in relation to carbon dioxide capture by vacuum swing adsorption under the supervision of Professor Paul Webley at Monash University.